Firefighters working on the Upriver Beacon Fire earlier this summer in Spokane. While many of the fires we have been following this summer in Eastern Washington have been contained, fires continue to burn elsewhere in the state. The two largest fires still burning in the state are the Cougar Creek Fire burning in Chelan County, and the Crescent Mountain fire burning near Twisp. The Cougar Creek Fire is burning over 42,000 acres on the Wenatchee National Forest and is 71 percent contained. No evacuation orders are in place. Windy weather in the area has officials concerned that the fire could still grow in the coming days. It was started by lightning on July 28. East of that fire, in the Okanogan and Wenatchee National Forests, the Crescent Mountain fire is burning over 49,000 acres. 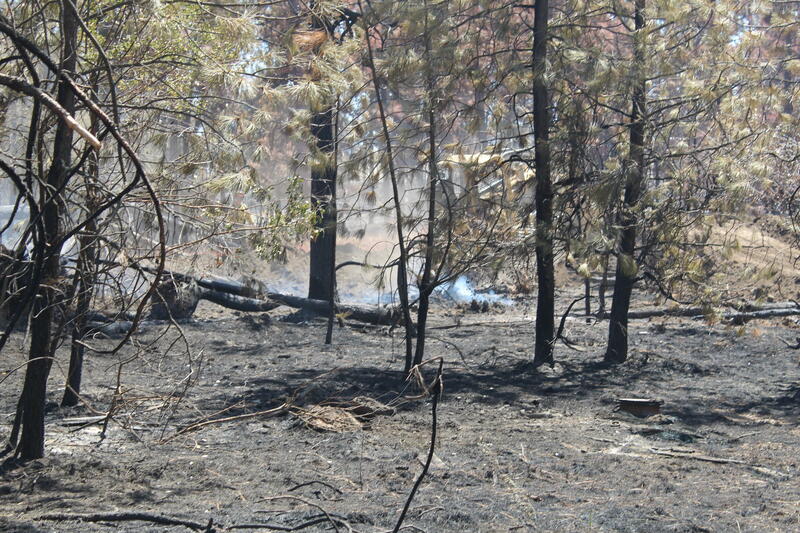 This fire is 37 percent contained, but progress has been made, says Don Jaques, an information officer for the fire. Mandatory evacuations remain in place for all persons living west of the Little Bridge Creek intersection in the Twisp River Valley. These residents have been displaced since August 21, and they could still be away from home a while longer. An incoming cold front makes it hard to predict what the fire is going to do. This fire was also started by lightening, and has been burning since July 29.